When it comes to legal rights and procedures it is better to be safe than sorry. These samples for release of liability declaration are just what you need to make sure you have covered all of the legal issues without having any loopholes which might affect your legal rights in future. These Liability Forms can be treated as examples and further modified according to your need or used directly if that works better for you. 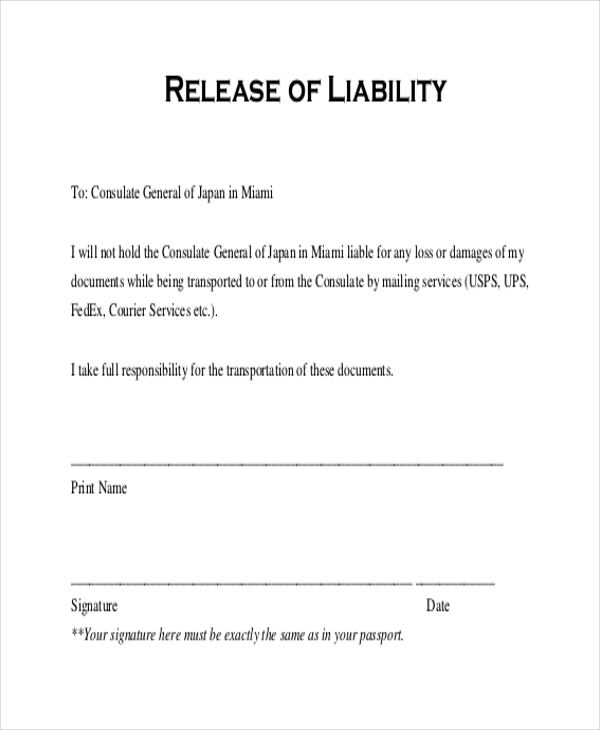 This Release of Liability Forms is the best thing you can get. It has a very simple format which is meant to address an agency or an individual and declare them for not being liable for whatever cause. Here’s a great sample for Release of Liability Waiver which can get and keep you out of trouble. 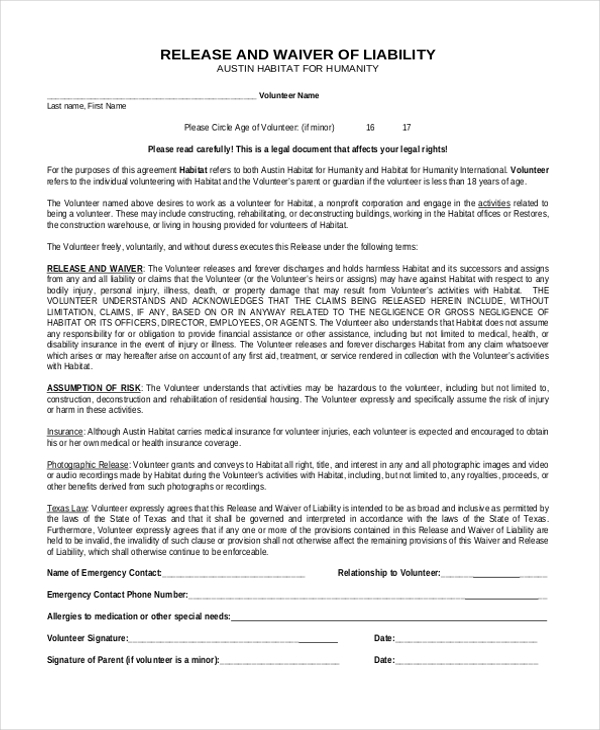 This waiver is great for volunteering purpose stating cause and acts well as a non-liability form. 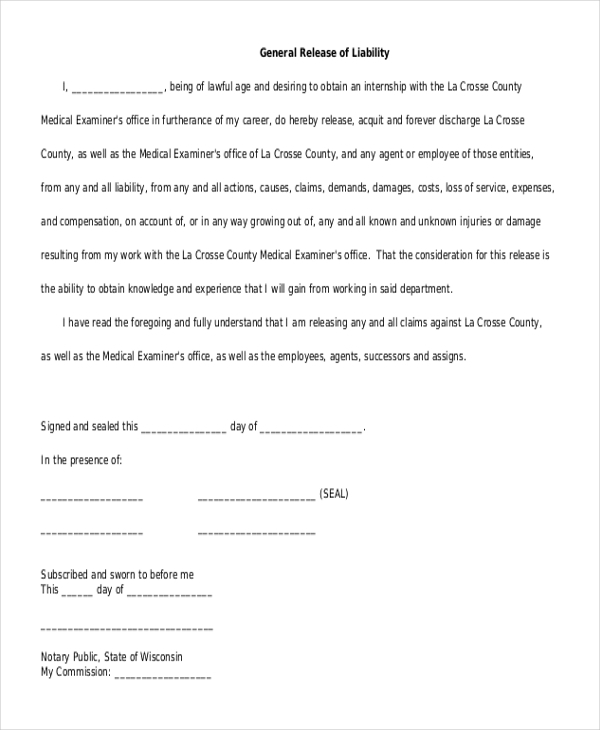 Try this Release of Liability Form Car Accident sample that allows you to makes it clear to you what falls within your rights in case of an accident. This definitely sets the benchmark for all samples. This Notice of Transfer and Release of Liability can come in very handy while handing over any property. This form is ideal as it lets you have receipts available instantly for printing purposes. Get this General Release of Liability Forms and quickly get all your liability declarations over with. 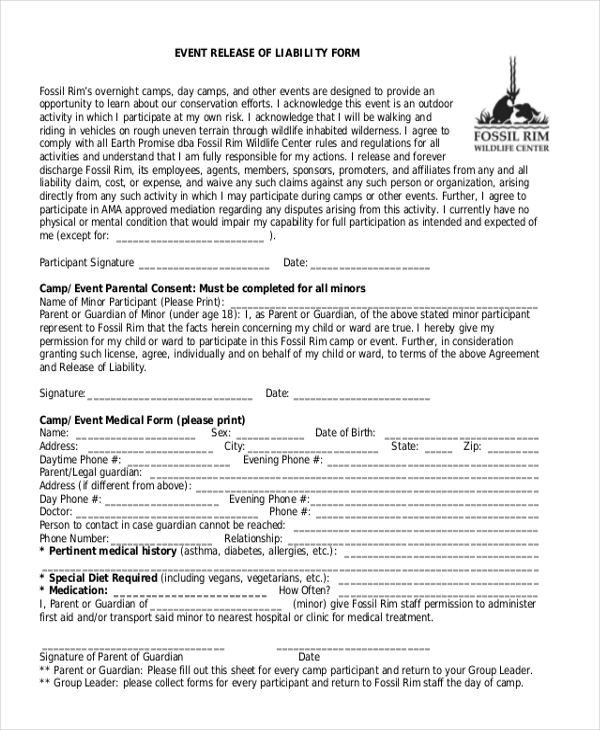 This form enables you to make tweaks here and there and draw up a complete release form. You may also see General Liability Forms. 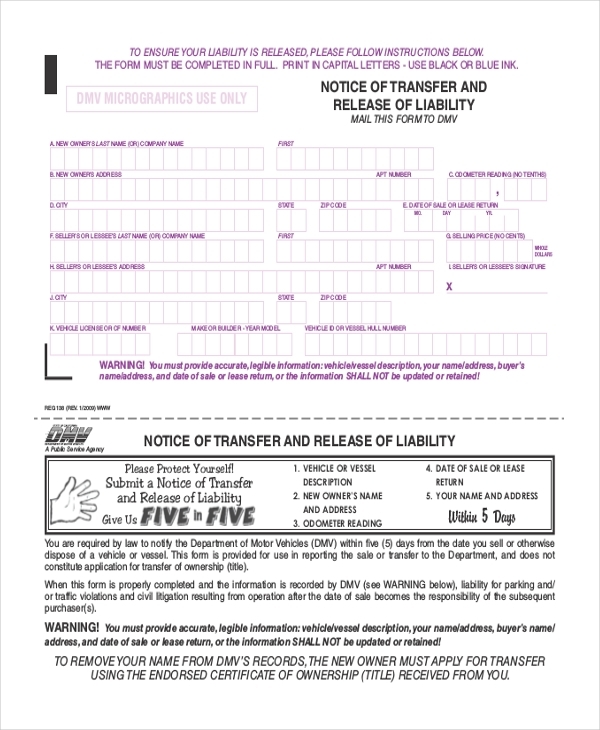 This Individual Release of Liability Form is a great example for individuals and alike. It is generally of use for individual participants in any sort of programs that include probable risks. This Event Release of Liability Form will come in handy for organisations, agencies and/or individuals when there is a provision for declaration of not being liable in case of a certain event. 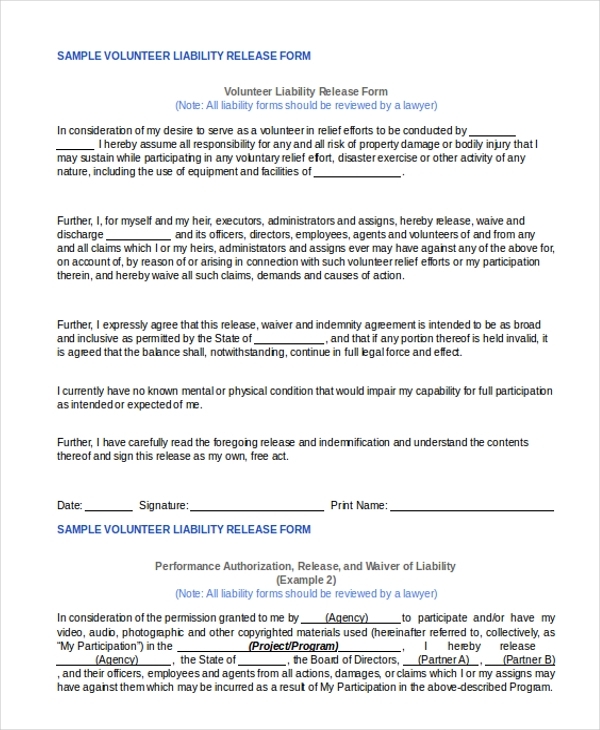 Get this Sample Volunteer Liability Release Form for a program, event or any other purpose that requires volunteers but has certain risks involved which the organizing authority can’t be liable for. This is a very simple yet to the point Medical Release and Liability Form which enables you to offer releases without being liable for any outcomes that emerges in future. 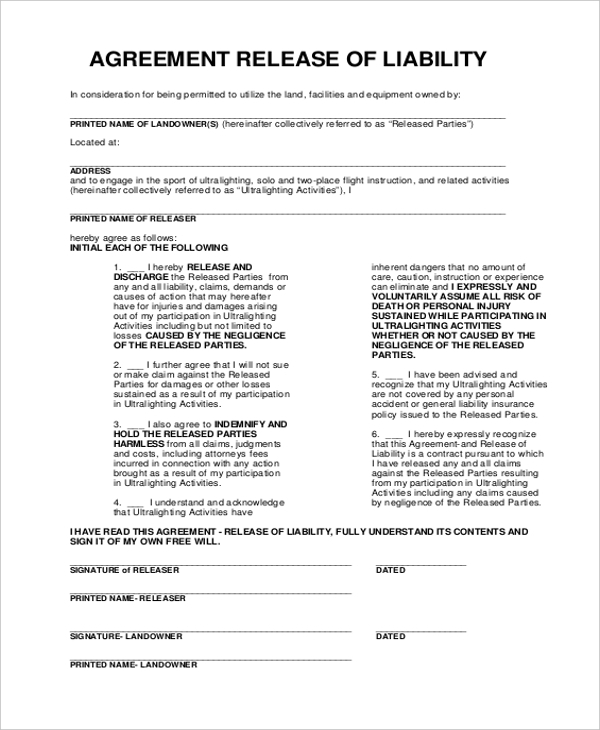 This Consent Release of Liability is of great help while assigning activities for students and gives a great format for jotting down all the information with a consent that relaxes the authority from all liabilities. Try this Release of Liability Agreement for almost all circumstances where you or your organization shall not be held responsible for the risks involved in a venture and you’d like to inform the participants that and get them signed beforehand. Why Use Release of Liability Samples? Have you ever faced a situation where you have been held liable for a probable risk which everyone was aware of but didn’t have any legal work done before actually participating in the program or event? If yes, you know you need these samples. These samples are a great example of what kind of events you can be held liable for if legal paperwork is not done before the event. Having one of these samples in your arsenal allows you to inform the participants of the risks involved and not be held liable for it in future. Who Can Use The Release of Liability Form Samples? 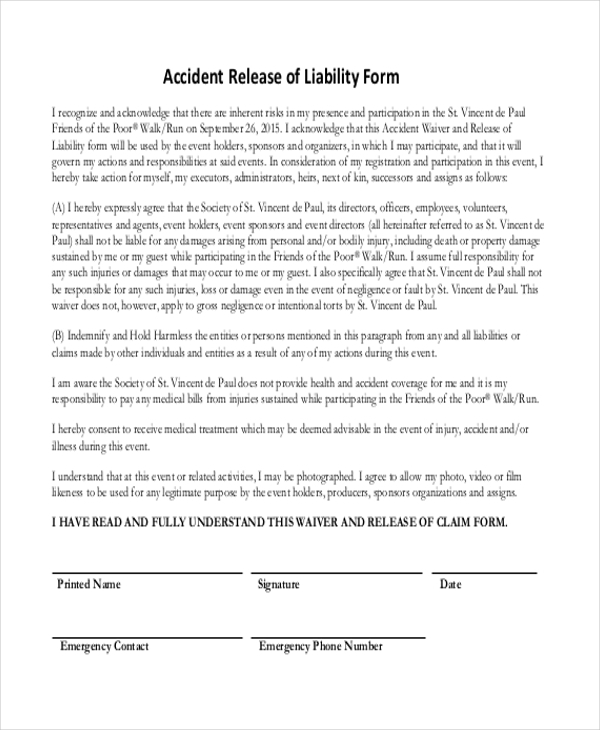 Any individual, organization, agency or authority of other sort can easily make use of these liability release forms. 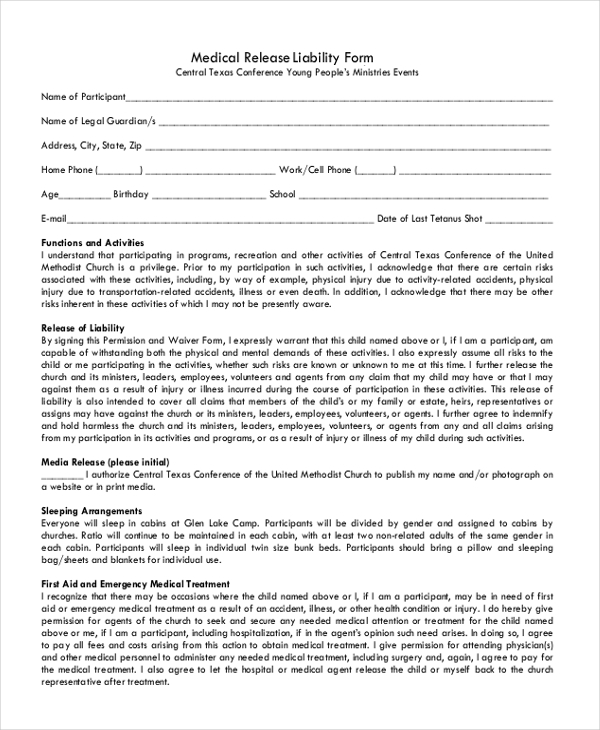 For involvement in any activity that may have a few risks which may cause damage be it physical or materialistic it is best to inform all the participants and notify them with a legal paperwork. These forms or waivers do the same for you. They are meant to be used by organizations or individuals assembling people or other agencies and involving them in future ventures which might have some risks. 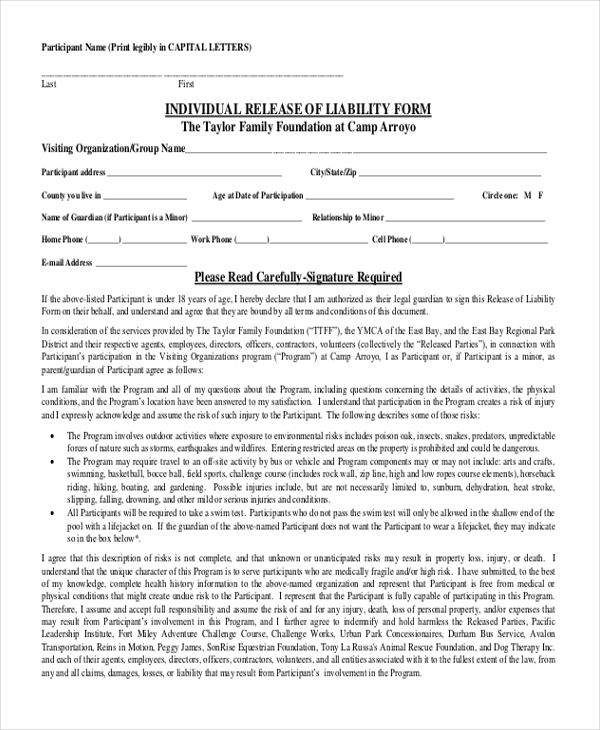 You can also see Sample Liability Forms. 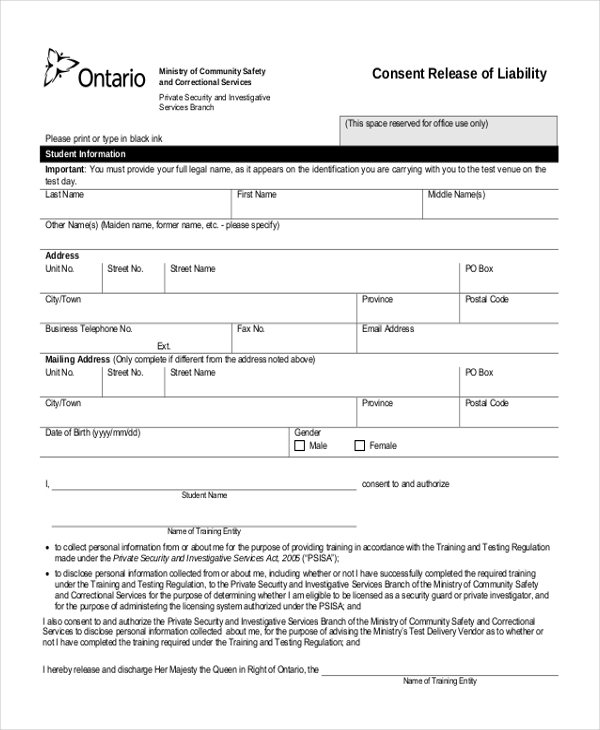 These samples are a great collection for liability release forms as they provide demo content that can be modified further to suit your requirement and are readily available for prints. They are extremely helpful in terms of quickly assessing the risks involved and getting all legal work done with disclaimers and declaration that an individual/organization must not be held liable in case certain events take a wrong turn.